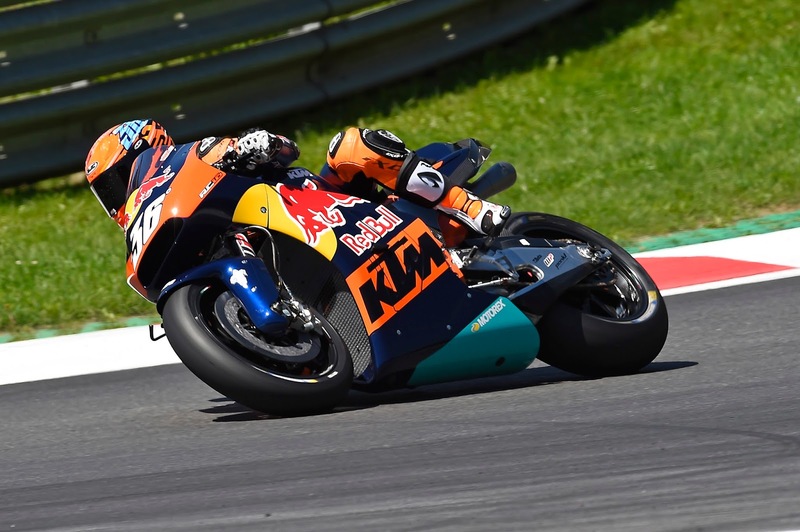 KTM have completed the rolling out of their new RC16 machine that Bradley Smith and Pol Espargaró will pilot in the 2017 MotoGP season at the Austrian Grand Prix this weekend, showing off the new machine in style. From 2017, KTM will take one more step forward with their 'ready to race' tagline. And this time, it will be with the big, bad boys of MotoGP. 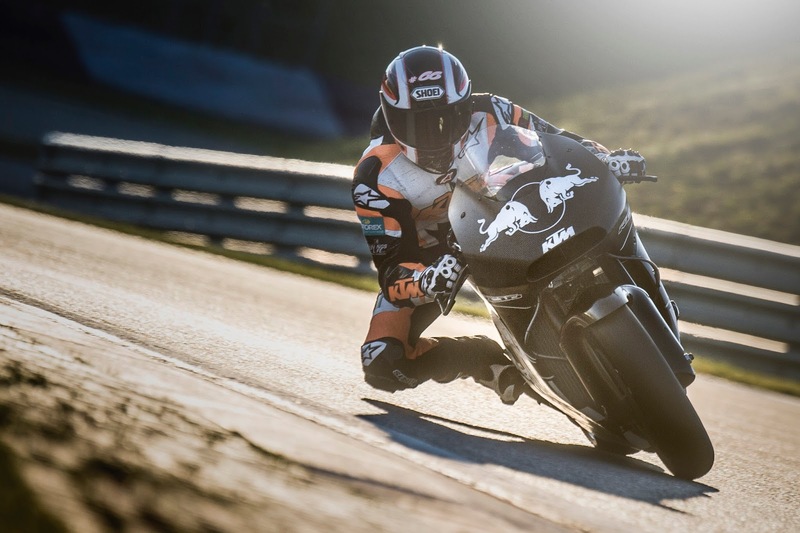 Designed and built in Austria, the KTM RC16 MotoGP bike will go head to head against Yamaha, Honda, Suzuki, Ducati and Aprilia next year, in the merciless world of MotoGP. 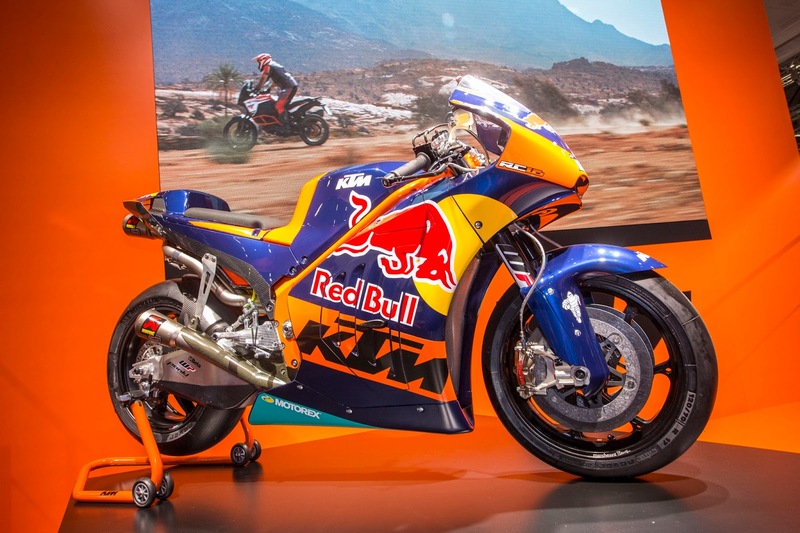 And for this, KTM have built their first 1000cc V4-powered racebike, with a unique tubular steel trellis frame - the only one of its kind on the MotoGP grid. The KTM V4 produces more than 250bhp at 19,000rpm and features pneumatic valves, a seamless shift transmission, Akrapovič 4-in-2 titanium exhaust, Magneti Marelli ECU and full ride-by-wire throttle management, with traction control and quickshifter etc. 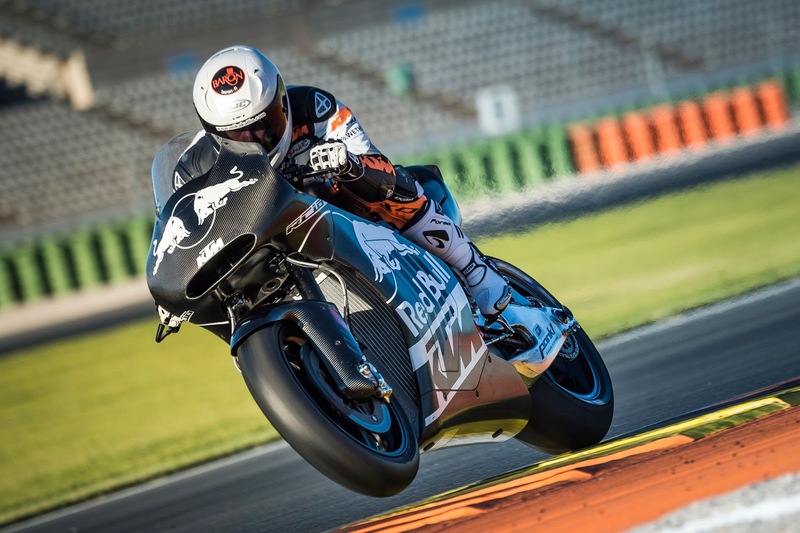 With an aluminium swingarm and 1400mm wheelbase, the KTM RC16 is equipped with fully adjustable WP suspension, Brembo brakes, carbonfibre bodywork, 22-litre fuel tank and weighs 157 kilos. "Sooner or later, some of the MotoGP innovations, that need to be kept confidential for now, will also find their way into series production. Guaranteed," says a press note from KTM. We can hardly wait.